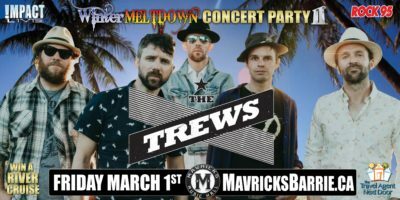 ROCK 95 & IMPACT LIVE Present: THE TREWS 2nd Annual Winter Meltdown Concert Party! 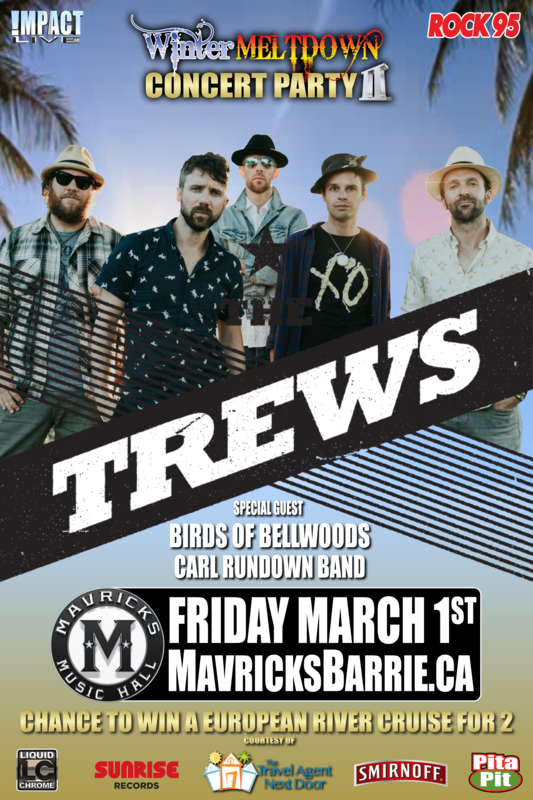 ROCK 95 & Impact Live present THE TREWS’ 2nd Annual Winter Meltdown Concert Party with special guests The CARL RUNDOWN BAND, and BIRDS OF BELLWOODS Live in Concert at MAVRICKS MUSIC HALL Friday March 1st! Online tickets are sold out, only a few tickets are available at the following outlets, Sunrise Records, Liquid Chrome, Pita Pit and Mavricks Music Hall.